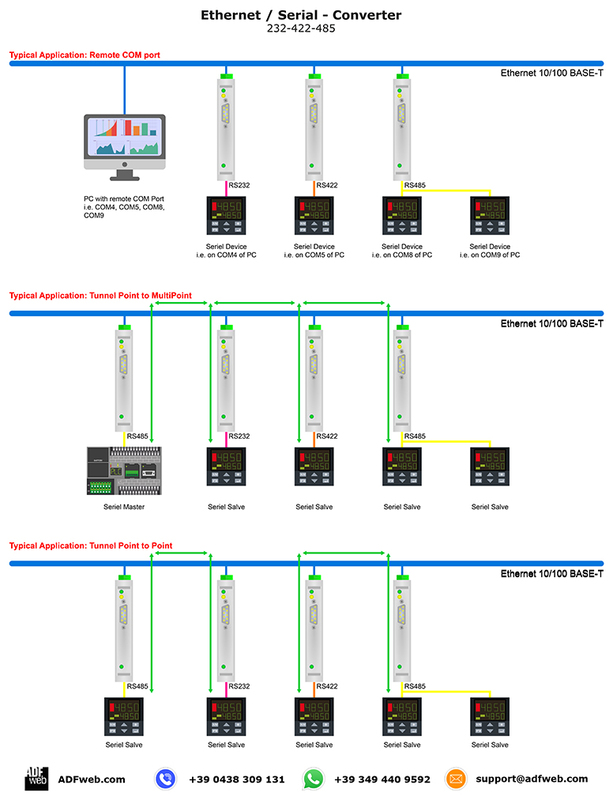 This serie of products allows to integrate a Ethernet network with a Serial RS232 / RS422 / RS485 net. The HD67038 is a RS232/RS485 / Ethernet Converter and it allows you to create a port RS232 or a RS485 through the Ethernet (RJ45) connection. 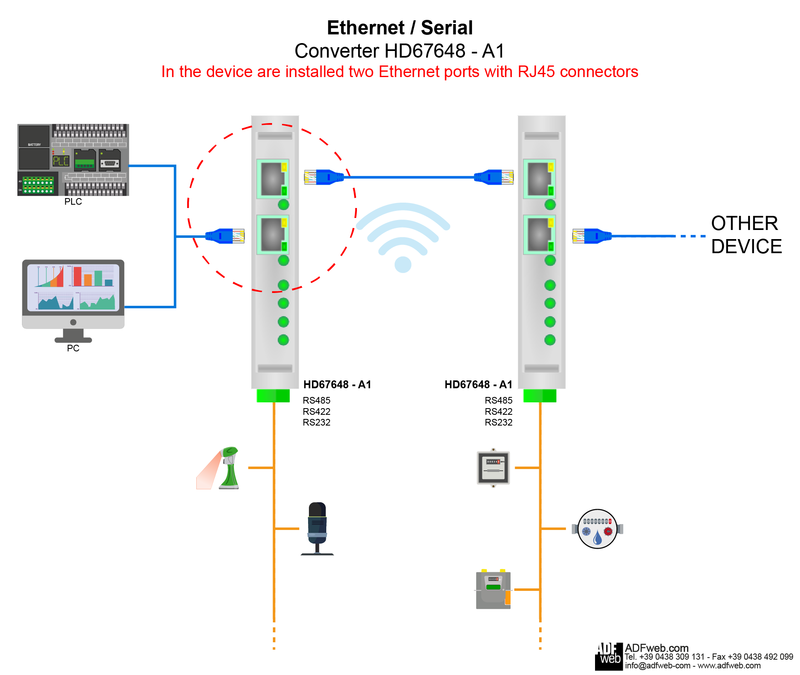 The HD67648 is a RS232/RS422/RS485 / Ethernet Converter and it allows you create one or two independents ports RS232 / RS485 / RS422 through the Ethernet (RJ45) connection. 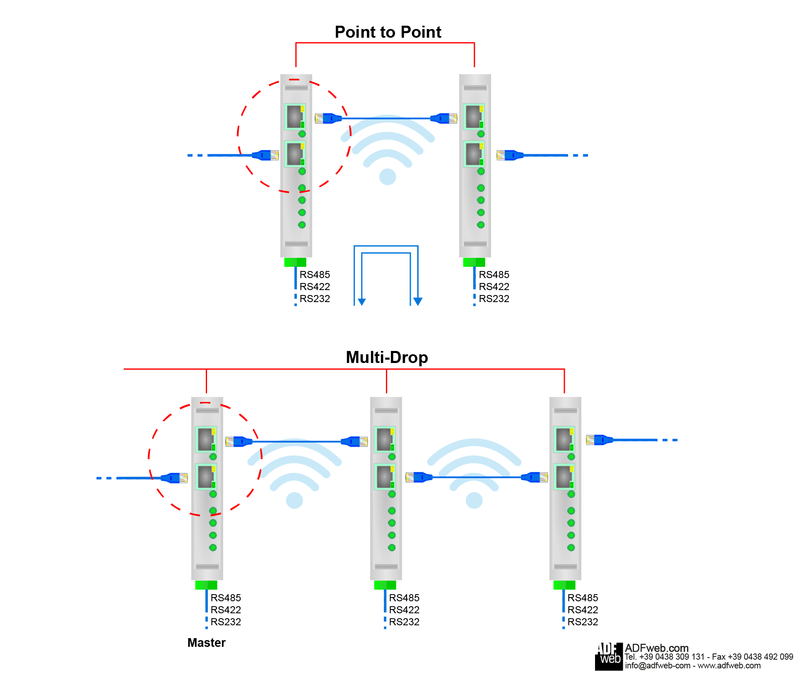 Important in this type of product is the installation of 2 LAN ports (RJ45) that can extend an Ethernet line without using the switch. These converters are contained in a metal housing, so it is STRONG and RESISTANT to the vibrations and shocks. The electrical parts are with triple isolation of 4000 V between Serial/Ethernet - Serial/Power Supply - Ethernet/Power Supply.